Blindness is one of the most challenging disabilities to deal with. Not being able to see their surroundings can make life very difficult for a person whether they were born without sight or lost it later in life. Take a moment to learn about the following famous blind people as well as their accomplishments that have helped the world. 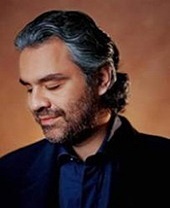 Andrea Bocelli is a famous Italian tenor who throughout the course of his career has recorded more than 20 classical and pop albums, and seven complete operas, selling a total of more than 65 million albums throughout the world. Bocelli had vision problems since birth and became completely blind at age 12 after suffering an accident while playing soccer. He began piano lessons at age six and later learned to play many other instruments including the drums, guitar, harp, trombone, trumpet, saxophone and flute. 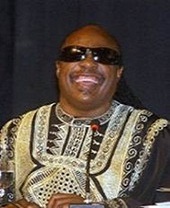 Stevie Wonder was born blind and despite this has become one of the most talented singer-songwriters ever to live. As a child, Wonder taught himself to play several instruments: the drums, harmonica, organ and piano all by age eight. Wonder has over 20 successful albums and in 1989 was inducted in the Rock and Roll Hall of Fame. In 2005, he won the Grammy Award for Lifetime Achievement. 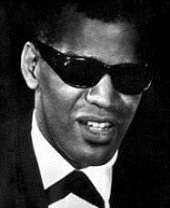 Ray Charles is one of the most famous American musical performers and was blind. He was born with glaucoma and was completely blind by the time he was seven. He left school when he was 15 to pursue his dream of music. Ray Charles was responsible for the creation of soul music, which combines blues, rhythm, gospel and jazz. Charles not only helped eliminate many racial barriers since he was one of the earliest black musicians to be played on the radio. 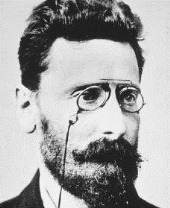 Joseph Pulitzer is the namesake for one of the most desired honors, the Pulitzer Prize for literature, music and journalism, and was legally blind. Pulitzer was also a politician with a Missouri state legislature seat. Throughout his career, he had a hard stance against illegal gain as well as corruption. While he acquired multiple newspapers, Pulitzer’s eyes began to fail him leading to him becoming completely blind in 1889. Despite this, he remained a strong watch-dog for injustice and social crimes. 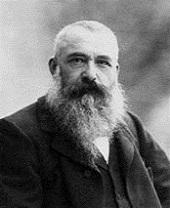 Although one of the biggest names in art, Claude Monet, was not blind when he began painting, he was by the end of his career. Monet founded French impressionist painting and was the most consistent artist in terms of expressing one’s own perceptions before nature, something which he specifically did with landscape paintings. By 1907 he had gained a great deal of fame and popularity because of his work but had also begun experiencing problems with his sight. Despite his worsening eyes, he continued to paint and didn’t stop until he was almost completely blind. In his last decade of life, however, while he was nearly blind, he still painted a group of murals of water lilies. 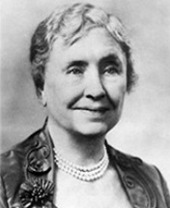 Helen Keller is well-known as an incredibly successful blind and deaf woman. Although she was born with all of her senses, she developed some sort of illness when she was nineteen months. Experts believe it may have been either meningitis or scarlet fever, but no matter what it was, it left her both blind and deaf despite not lasting for a long time. This did not stop her from becoming well-educated as she was the first college graduate who was blind and deaf. Keller later became a world-famous author and speaker as well as an advocate for many causes including disabilities. 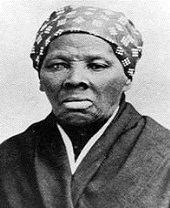 Harriet Tubman is famous as one of the creators of the Underground Railroad, which was a network of safe locations and homes that allowed slaves to escape to the north and provided them with protection, food and shelter along the way. Despite saving hundreds of slaves, Tubman was mostly blind because of a head injury in her teens that resulted from a man lobbing a heavy weight and hitting her head. As a child, she was sold into slavery but then escaped to the North where she became one of the leading abolitionists during the Civil War era, running the Underground Railroad. 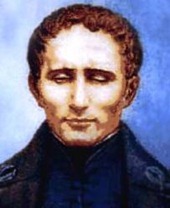 Louis Braille was not born blind but accidentally stabbed his eye using his father’s awl. Because at that time, there were not many opportunities available for the blind, Braille’s parents pushed him to attend normal school. There he succeeded despite relying only on his memory as he was not able to read or take notes. Later in life, Braille started inventing and designed braille writing, a system of organized bumps that represent letters which allows blind people to read by touch. Braille writing is still widely used today and what makes him a household name today. 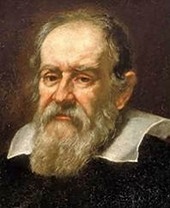 Galileo Galilei is a famous scientist from Italy. He was one of the main influences on the scientific revolution and was a philosopher, physicist, mathematician and astronomer. Galileo’s major accomplishments include astronomical observations, accelerated motion and improving the telescope. He was also the first person to discover Jupiter’s four largest moons and these were named “Galilean moons” to honor him. In addition he improved on the design of the compass and opposed the geocentric view. Galileo began losing his sight at age 68 and he eventually became completely blind.